ABA SWITZERLAND’s mission: To provide knowledge, training, education and research for the effective application of behaviour analysis. 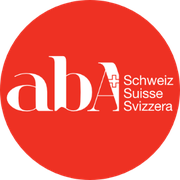 The name of this organisation shall be the Association for Behaviour Analysis Switzerland, represented as ABA SWITZERLAND. It is an association with legal capacity in terms of Art. 60 ff, Swiss Civil Code. The existence of the association is for an undefined duration. Location is in the canton of Zurich. a) Serve as a scientific and professional reference and networking group for its members. b) Disseminate information and advance Behaviour Analysis in Switzerland. d) To function in Switzerland, as the liaison with, and representative of the Association of Behaviour Analysis, ABA International. Qualifications: Completed a university/college program in a related field and has been utilising behaviour analytic principles for at least a year. Should have supervised practical training in ABA for minimum 1 year, under an accredited professional. Benefits: Full members get full voting rights. Subscription to the ABA Switzerland newsletter for a year. Receive information regarding job postings/opportunities, discounted rates for workshops, preference and priority for workshops and trainings, dissemination of information regarding workshops and trainings within surrounding countries, opportunity to attend quarterly professional discussion/meeting. Participation in nominations and elections of officers. Full members neither working nor living in Switzerland may not be elected as board members. Qualifications: Persons interested in Behaviour Analysis with educational background in any related field. Benefits: Affiliated members may attend meetings but have no voting rights. Subscription to the ABA Switzerland newsletter for a year. Receive information regarding job postings/opportunities, discounted rates for workshops, preference and priority for workshops and training, dissemination of information regarding workshops and training within surrounding countries. Qualifications: Any person enrolled in an academic degree / diploma with interest in Behaviour Analysis. Benefits: Student members may attend meetings but have no voting rights. Subscription to the ABA Switzerland newsletter for a year. Students will receive information regarding job postings/opportunities, discounted rates for workshops, preference and priority for workshops and training, dissemination of information regarding workshops and training within surrounding countries. Qualifications: A person or organization who offers financial or logistic support to the Chapter. Supporting members may attend meetings but have no voting rights. Benefits: Subscription to the ABA Switzerland newsletter for a year. Application of Membership: Application must be submitted in writing to the board and be in accordance to criteria established for membership qualifications. The board will then notify new members of the application approval. Dues: Shall be set according to level of membership and are due in January of each calendar year. Only Full members in good standing shall be entitled to one vote on all matters brought before the Chapter. There shall be no proxy voting. a) Resignation: must be declared in writing to the board and can be carried out at anytime.No reimbursement will be made. b) Forfeit: failing to pay membership dues for 30 days from January 31st each calendar year will forfeit all membership benefits. Members who have been withdrawn due to non payment, may petition to the board for reinstallation of membership. c) Exclusion: the board may suspend/expel any member who is in violation of rules/procedures or policies established by this organization, or in violation of the Bylaws set forth by the board. The accused member will be notified in writing and is entitled to a hearing before the board before the final decision is taken. The officers of ABA Switzerland shall constitute a board of Directors with the following functions: President, Vice President, Secretary and Treasurer. A student and parent representative may be elected. The student/parent members have no voting power in the board, but are consulted during the board meetings. Full members neither working nor living in Switzerland are not eligible be voted as Board members. a) Preparation and Execution of the ordinary and the extraordinary general meeting. The term of office of the executive shall be two years renewable. In the event of death, incapacity, or resignation of any of these officers, the Board shall, by majority vote, appoint a successor to serve until the conclusion of the term of the replaced member. The Board shall meet at least quarterly at a time and location deemed appropriate by the President. A meeting of the Board may also be called by action of three members of the Board who shall notify the remaining members at least two weeks in advance of the proposed meeting. For purposes of transacting business of the Chapter, a quorum shall consist of five members of the Board. Members of the Board who fail to maintain membership in good standing in the Chapter or who fail to attend two consecutive meetings of the Board are subject to removal by a majority vote of the remaining members of the Board. A tie-vote shall be construed as affirmation for removal. Positions vacated for any reason shall be replaced by a majority vote of the remaining members; such successors are to serve until elections occur at the Annual Meeting of the Chapter. Each year, a call for nomination ballot will be circulated for all vacant positions. For each office that appears on the nominating ballot, each Full Member may propose up to four names and may nominate the same person for more than one office. The President and/or person designated by the President, shall count the ballots and shall ask those nominees receiving the largest number of votes for each office if they are willing to stand for election, and shall proceed through the list in the order of vote count until at least two candidates for each office have been obtained. No one may hold two offices at the same time, so if a voting member received enough nomination votes for two offices, the President shall request that the individual choose the office for which he or she wishes to be a candidate. After the list of candidates has been determined, the President shall send to all Full members a ballot for all matters to be voted upon. Members of the Board shall be elected by a plurality of the votes cast at an election. Officers and other members of the Board shall assume office on the first day after the close of the annual meeting at which their election took place. Officers shall hold office until their elected successors assume office in their stead. There shall be at least one annual general meeting of the Chapter. Notice of the annual meeting of the Chapter shall be given to all members in good standing no less than one month prior to the scheduled date including the agenda of the meeting. Proposals for the general meeting are to be addressed to the President two weeks in advance. An extraordinary general meeting can be called due to a Board decision or by proposal of at least one fifth of the members. The invitation shall be distributed no less than ten days before the date of the meeting. At the general meeting resolutions are passed by an open vote by simple majority. The vote is only confidential when the majority of the members demands it. When there’s a tie the President doesn’t have a final ballot. The general meeting shall be held in person, the extraordinary meetings will be held online. A quorum at the annual general meeting shall consist of no less than 3 members in good standing present and voting. ABA Switzerland Executive Board will appoint committees, as it deems necessary. A Program Committee shall be appointed by the Board to make a yearly report on the Chapter’s activities. The primary duty of the Program Committee shall also be organization and management of the 3 annual workshops. Dues for the various categories of membership shall be established by a simple majority vote of the Board. This action can be rescinded by a three-fifths majority vote of those present and voting at the Annual General Meeting of the Association. In this case the Board shall propose an alternate schedule of dues for approval by simple majority of those present and voting. Dues shall be payable in the time and manner prescribed by the Board and published to the membership at large at least three months prior to the due date. 1.1. Two weeks or more before each AGM, the Treasurer shall submit to the President for the consideration of the ABA SWITZERLAND Board of Directors, a financial statement for the previous fiscal year and a budget for the current fiscal year. 1.2. At the time of submitting the Treasurer's report to the ABA SWITZERLAND Board of Directors, the President will submit a written report on ABA SWITZERLAND’s affairs and activities, including planning activities. 1.3. Two weeks or more before each AGM, all committee reports should be submitted to the chapter’s President for the consideration of the ABA SWITZERLAND Board of Directors. 2.1 The fiscal year of the Association shall be defined as January 1 to December 31. 3.2. The ABA SWITZERLAND Board of Directors designated Postfinance where an account shall, a credit card account may, merchant services may, and a safety deposit box may be maintained for the use, and in the name of ABA SWITZERLAND, and the Board of Directors shall notify the Secretary of the name, branch and address of said account. The bank account will be opened by Nadja Studer, Vice President and she will be the one with the authority to sign. As of January 2014 she is no longer the Vice President. Until the bank account can be signed over to the new treasurer, Marie Leclerc, Nadja Studer will hand over the online banking to her. 3.2. All money, cheques, and other orders for the payment of money belonging to the Association shall be deposited to the credit of the Association in its bank. All shares and other securities belonging to the Association shall be lodged in the Association's name with its bank or in a safety deposit box at its bank. 3.3 The member fees, the overplus, possible donations and fees from workshops compose the asset. For the binding force of the association only the association asset is liable. The personal liability of the members is excluded. 3.5. ABA SWITZERLAND Board and Committee members may submit travel claims for business trips in excess of one hundred kilometres round-trip. The ABA SWITZERLAND Board will set the reimbursement rate. If the association is annulled the general meeting decides over the distribution of the proceeds. This constitution and bylaws may be amended only by two-thirds vote of the members voting. Amendments may be proposed by simple majority vote of the Board. These bylaws have been approved at the founding meeting.